Smoke detectors are among the most important safety devices in your home. But they can also be an annoying nuisance when their batteries start to run out. To save yourself a rude middle-of-the-night awakening—or missing an alarm when you’re away from home—the second-generation Roost Smart Battery connects to a mobile app to keep you in the loop both when the battery is running low and when your alarm is going off. You can choose whether you receive the alert as a push notification, email, text message, or some combination of those. In-app notifications are accompanied by a loud klaxon sound that should never fail to get your attention (provided your phone isn't on vibrate, that is). You can also add secondary contacts should you be out of cell-phone range or if your smartphone battery dies. When you receive the alarm alert as a notification, you can touch one button to reach your local (local to your home, that is) fire department. 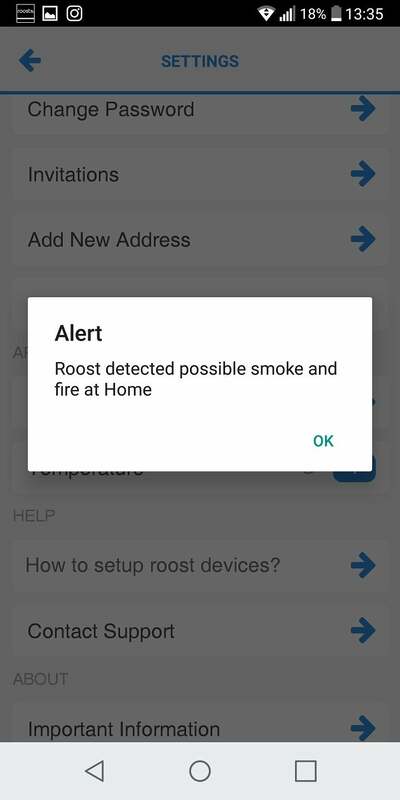 And if you're home and the smoke is coming from the stove or the toaster, you can easily hit “snooze” on your phone to cancel the alert. Your secondary contacts will be notified of the false alarm, too. This won't stop the smoke alarm itself from sounding, though, and the battery will ping you again if the smoke detector continues to sense danger. When we reviewed the first-generation battery, we liked the detachable Wi-Fi module that can be removed and attached to a fresh lithium battery every three to five years. That feature remains in the second-generation version. If your smoke alarm sounds off, the Roost Smart Battery's sensor will pick up on its high-pitched squeal and send a message to your smartphone. That said, not a lot has changed from the first version: It’s easier to add the new model to your Wi-Fi network, and the electronics use even less power than before. Replacing the battery half of the product won’t convert a first-generation Roost into a second-generation one, but there’s no compelling reason to toss the first-generation product and upgrade. 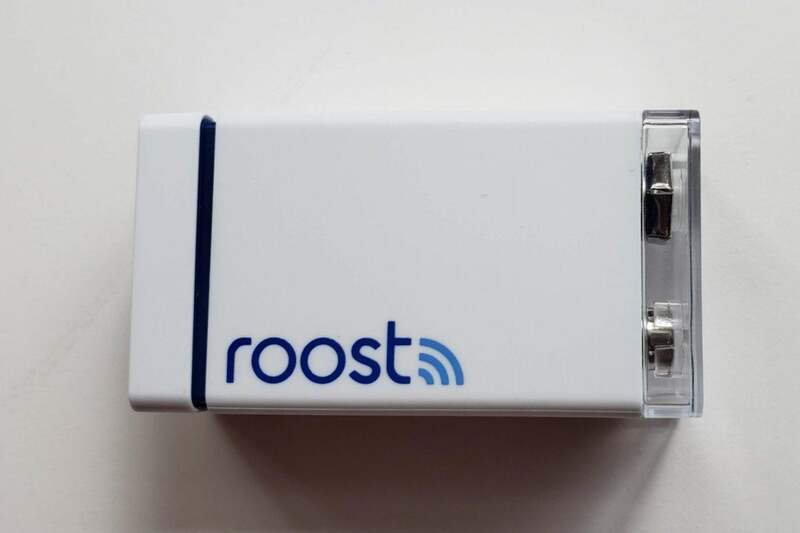 You can set up the battery two different ways: The first, and the one recommended by the in-box instructions and in the Roost app, is to use the battery as a temporary Wi-Fi hotspot. This is an onboarding method the first-generation battery doesn’t have. The second method uses audio to find your phone, and that’s how it works on the first-generation battery. Alert messages are accompanied by an impossible-to-ignore klaxon. Before you use either method, though, you’ll need to download the Roost app. Once you’re in, you’ll see an option to add a device (Roost also makes a smart-battery-powered water-leak detector). Select “Smart Battery” and identify which room in the house you’ll be putting it. From there, you’ll be prompted to follow reasonably simple setup instructions. I tried the battery-as-hotspot method of connecting several different times, but I couldn’t get it to work. I ended up resorting to the sound-based method, which instructs you to turn up your phone’s volume and put its speaker close to the battery’s audio sensor. After several loud beeps from my phone, it connected quickly. Once connected, you install the battery into your existing smoke detector. The app will instruct you to press your alarm’s test button. Once it starts beeping, you should receive an alert on your phone in a few moments. That audio sensor picks up on your smoke detector’s high-pitched squeals through its piezo-electric sensor. When your alarm stops beeping, you’ll be alerted to that as well. The battery relies on your home Wi-Fi to send mobile alerts, so you won’t receive notifications if your home’s power goes off, although the battery will still function as a normal battery would. Our recommendation is to plug your Wi-Fi router and broadband gateway into an uninterruptible power supply, so that you'll receive alerts even in the event of a blackout. 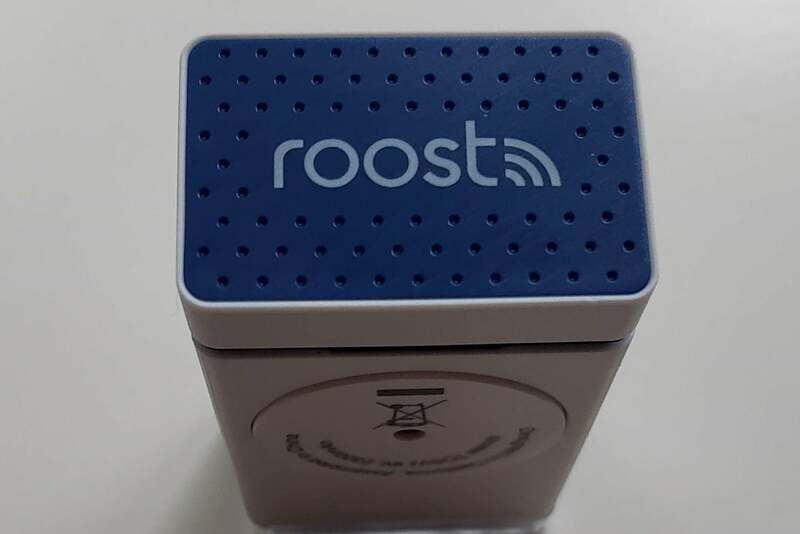 The Roost Smart Battery looks like a normal 9-volt battery, but the Wi-Fi module on its bottom enables it to contact you in the event of an emergency. 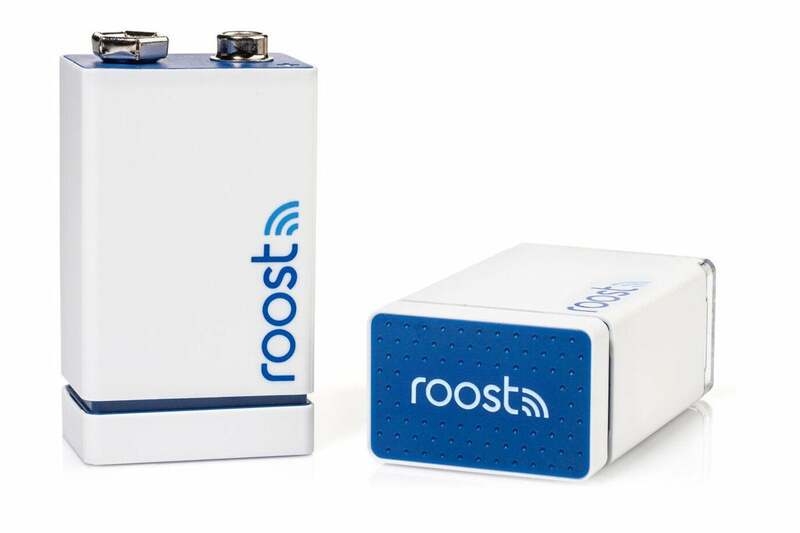 Roost’s $35 list price makes this battery seem a little pricey compared to a more ordinary $13 lithium one, but when the Roost battery wears out after three to five years, you only need to replace the battery. You just pull the Wi-Fi module off the dead battery and snap it onto a fresh one, which currently costs $15. That’s a small price to pay for the peace of mind the Roost Smart Battery provides when you’re away from home. This story, "Roost Smart Battery (2nd Generation) review: Well worth the extra money" was originally published by TechHive. The upfront cost is higher than an ordinary lithium smoke-detector battery, but the Wi-Fi module is reusable and replacement batteries are only slightly more expensive than ordinary ones. It’s money well spent to protect your home.